How Much Will I Save with the London Pass? Who Is the London Pass Good For? Who Should Avoid the London Pass? The Verdict: Is the London Pass Worth It? Is the London Pass worth it? Read our complete review to learn how it works, what it costs, and get tips on how to use the pass to save money in London. FLASH SALE: Get up to 20% OFF the London Pass! Sale runs through Wednesday, April 17th, 2019. Follow the link for details. The London Pass is one of our favorite sightseeing passes of all! Find out why in our complete London Pass review! Ah, London! The history. The majesty. The culture. I LOVE me some London! There’s something about London that keeps pulling me back. I could visit the city a gajillion times and never grow tired of being there. London is simply one of my favorite cities in the world, and I can’t get enough of it! Consistently ranked as one of the most expensive cities in the world to visit, a trip to the UK’s capital can drain your pocketbook. And, since all the prices are listed in British Pounds, things can sneak up on you if you’re not careful. Don’t let the cost scare you off. There are plenty of ways to save on your London vacation, and that includes saving money with a sightseeing pass. To get the most bang for your sightseeing buck, consider purchasing one of my favorite sightseeing passes of all – the London Pass. The London Pass is an all-inclusive sightseeing card that provides entry to over 80 of the city’s best attractions. In addition to admission fees, the card also includes “fast track entry” to some of London’s busiest spots, helping you to skip the long ticket lines and save valuable sightseeing time. If you’re making your first trip to London, this pass is the perfect way to experience the city’s top spots for much less. In fact, we’ve personally used it to save well over $100 USD during our first visit. As you’d expect, the London Pass includes entry to most of London’s major historical sites – like the Tower of London, Hampton Court Palace, Westminster Abbey, and more. These are all “must see” sites that no visitor should miss. Like the New York Pass, the London Pass is an absolute no-brainer for me, and it should be for you too. As a Club Thrifty reader, just use the coupon code below to take advantage of this month’s London Pass sale! Like most other all-inclusive passes, the London Pass works on a consecutive day basis. This means that you purchase the pass for a set number of days, allowing you to visit as many of the included attractions as you like during the time that your pass is active. The London Pass can be purchased in 1, 2, 3, 6, and 10-day varieties. So, if you choose a 3-day London Pass, your pass is good for 3 consecutive days from the time it is activated. Capiche? You can get your London Pass in the form of a physical card, or you can carry the mobile pass on your smartphone. Physical cards can be collected at once you get to London for free, or you can have them shipped to your home for a small fee. As you’d expect, downloading the mobile pass is also free of charge. Keep in mind that the London Pass uses calendar days, not 24-hour periods. Regardless of whether you activate your pass at 9 AM or 2 PM, that counts as your first day. So, it’s typically best to activate your pass early in the day to ensure you get the most value out of Day 1. With access to over 80 London attractions, the London Pass is easily one of my all-time favorite sightseeing passes! Unlike some passes that offer discounted admission fares, with the London Pass, admission to every attraction listed is included! Plus, by visiting just 2 or 3 sites a day, you can save some serious money. So, how much is the London Pass? I knew you’d ask! The London Pass has 5 different pricing options based on how long you plan to use the pass. Separated into 1, 2, 3, 6, and 10-day passes, you can use the pass for as long or little as you like. Take note that you cannot split up your available days. The pass is good for a set of consecutive days only. If the consecutive day pricing model turns you off, you may want to consider the London Explorer Pass instead. Or, purchase the London Pass and plan accordingly. As you can see, there is a separate price if you include the Oyster Card for travel on London’s fabulous public transportation systems. Personally, I love using London’s transit systems, so I think it’s money well spent. So, let’s assume you get the three day pass. In order to break even, you would need to visit attractions that totaled at least £41.66 each day. Anything above that is money you’ve saved. That means you need to visit 2+ attractions each day the pass is active for the London Pass to be worth it. The 3-Day London Pass costs just £125.00. By visiting just 2 of these attractions a day, you’ll save £33.20 (almost $44 USD) per person! By hitting 3 attractions each day, you can save considerably more. That’s definitely not chump change, especially if you’re traveling with a family or small group. Plus, you’ll get fast track entry at several of these spots, saving you time as well! And if you grab the pass on sale, you stretch your savings even further! Seriously, to me, it seems like a no-brainer. 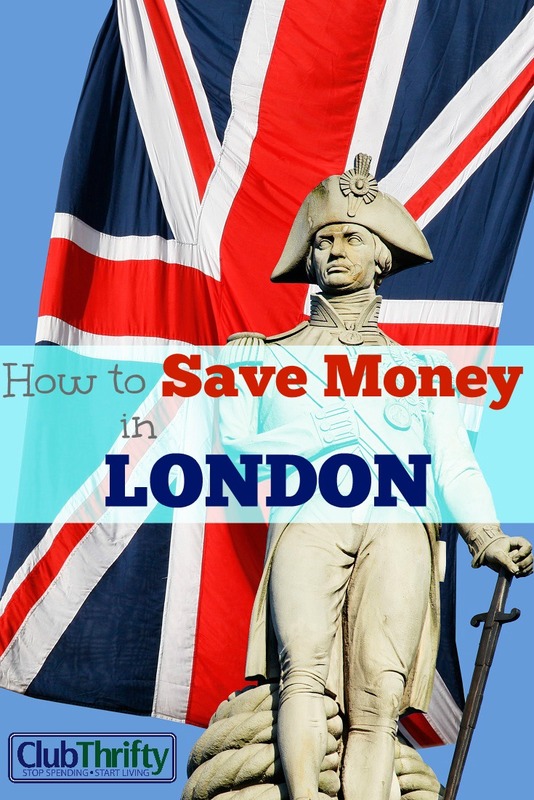 Save Money in London – Want to save money in London? Stretch your travel dollars further with the London Pass! Get entry to over 80 of the city’s best tourist attractions and save money while you do it. Get your pass here. Let’s face it: Visiting London can be expensive. That’s why it’s important to save money any way you can…and that includes sightseeing. With the London Pass, you can visit the best attractions in the city and still save. In fact, we personally used it to save some serious cash on our first trip to London. So, if you’re looking to enjoy London for less, we highly recommend this pass! 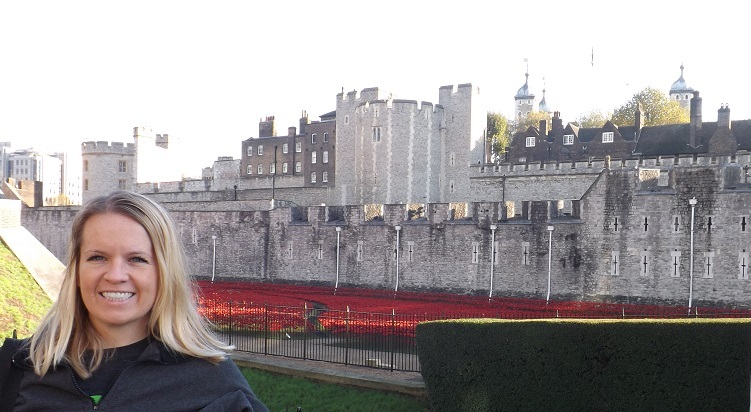 The Tower of London is easily one of my favorite places in all of London. Built by William the Conqueror around 1070 A.D., the Tower of London has served as a royal residence, an armory, a royal mint, and a prison. Yep, this is the place where the “Two Princes” were believed to be murdered by their uncle, King Richard III, so that he could usurp the throne. It’s where two of King Henry VIII’s queens (Anne Boleyn and Catherine Howard) lost their heads. And, it’s also the spot where countless political prisoners (like Sir Thomas More) arrived through “Traitors’ Gate” and were imprisoned before becoming a head shorter. Guided walking tours of the grounds led by a Yeoman Warder (a.k.a. a “Beefeater”) are included with your London Pass entry. These tours also provide access to the Church of St. Peter ad Vincula – the burial spot of both executed queens. 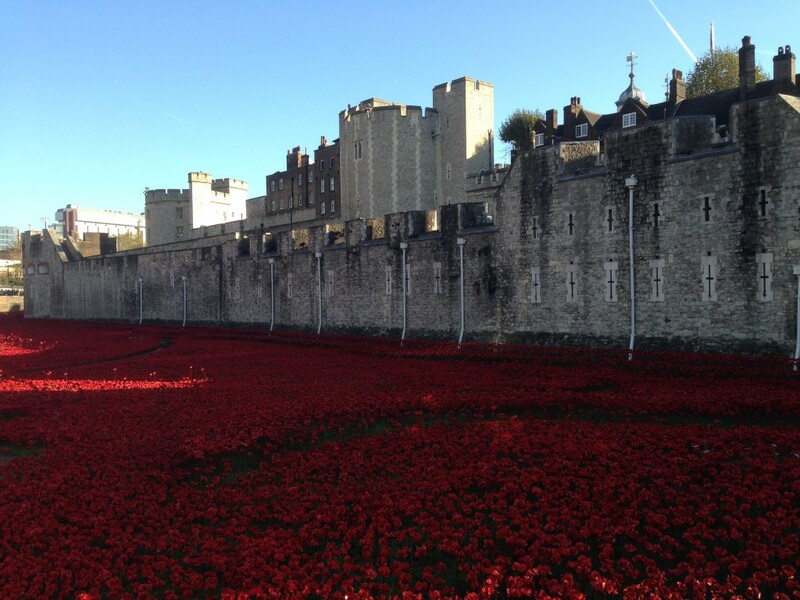 Last but not least, make your way to the Waterloo Barracks to view the Crown Jewels of the United Kingdom. When in London, The Tower is a sight not to be missed. Possibly the most famous structure in all of London, Westminster Abbey was founded in 960 A.D. and remains a working church to this day. The famous double towers on its western facade are known throughout the world. You remember Westminster Abbey as the site of numerous royal weddings (like Prince William and Catherine Middleton’s) and funerals (like Princess Diana’s). 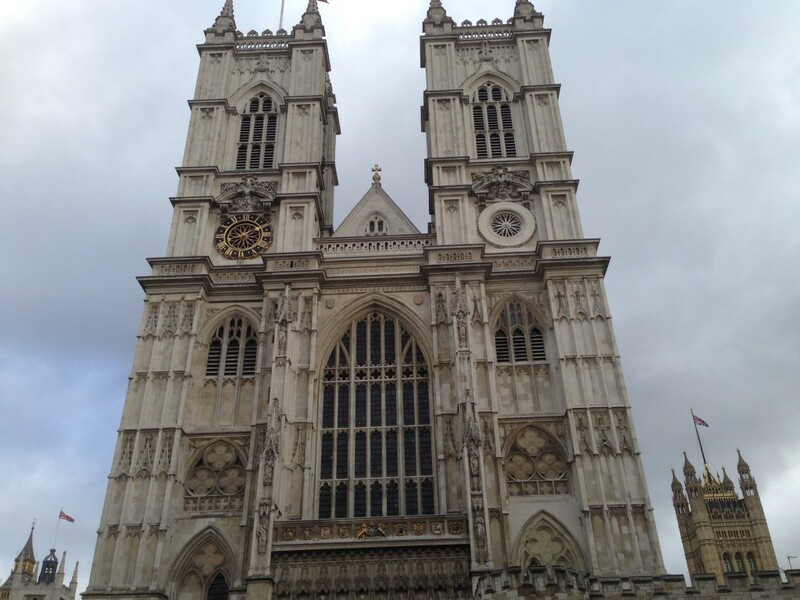 What you may not realize is that Westminster Abbey has been the site of every English and British Coronation since 1066. While you’re there, be sure to sneak a peek at King Edward’s Chair – the throne used in every coronation since 1308. Additionally, the abbey acts as a cemetery for many of the most famous people in English and British history. Walk through the abbey and discover the final resting places of famous royals like Elizabeth I, Henry VII, Edward the Confessor, Mary I, Mary Queen of Scots, Edward I, Richard II, and many more. Be transported back in time and enjoy a trip through Tudor history with a visit to Hampton Court Palace. Located about 11 miles from Central London on the Thames River, the palace is a short 35 minute train ride away. 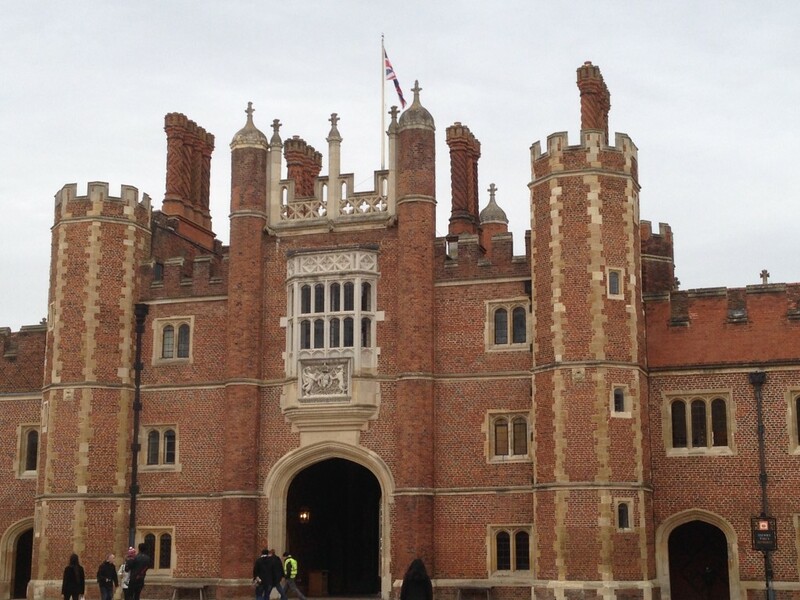 Redeveloped by Cardinal Thomas Wolsey around 1515, the palace was eventually seized and occupied by King Henry VIII. Henry expanded the palace’s famous Tudor style, while William III and Mary II expanded the rear of the palace in the Baroque style of the late 1600’s. Along with the “Tudor Kitchens”and the “Great Hall,” my favorite part of the palace is the “Chapel Royal.” In fact, it may be one of my favorite single rooms in all of London. The chapel itself is stunning, and standing in the king’s private pew gave me some legit goosebumps. Give yourself time to wander through the magnificent gardens and the famous hedge maze. If you’re timing is right, you may even bump into different characters roaming the halls in full Tudor costumes. Turning the corner and seeing “Henry VIII” himself definitely gave me chills! 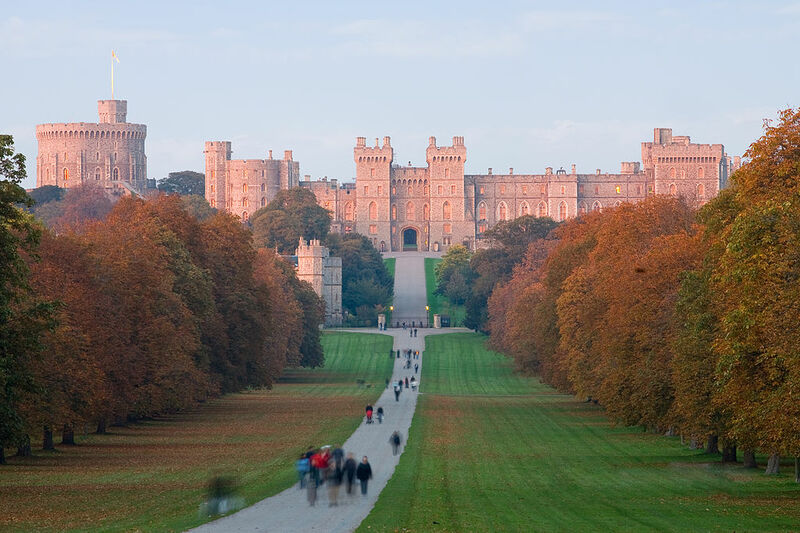 Located in the county of Berkshire, about a 30-50 minute train ride from Central London, Windsor Castle is the largest and oldest inhabited castle in the world. The castle is a favorite weekend residence of Her Majesty Queen Elizabeth II, and her standard flies from the famous Round Tower when she is there. Originally built by William the Conqueror in the 11th century, the castle has been inhabited by English and British monarchs for nearly 1,000 years. At the castle, you’ll find one of England’s best examples of Gothic architecture, St. George’s Chapel. In addition to being a fully operational church with multiple daily services, St. George’s Chapel serves as the final resting place for ten monarchs – including King Henry VIII and his third wife Jane Seymour. Since this is a working residence, please note that some parts of the castle may not be open at all times. Fast Track Entry – One of the biggest benefits of purchasing the London Pass is that you get “Fast Track Entry” into several of the city’s most popular attractions. During peak times, lines to get in can be crazy long. Purchase the card, skip the lines, and save yourself time (and headaches) so you can see more of London’s best attractions! The London Pass Guidebook – When you pick up your London Pass, you’ll receive a nifty little guidebook to help you plan your sightseeing in London. This little gem provides informative descriptions of all of the attractions available with the pass. Additionally, the guidebook supplies you with all of the opening/closing times and with directions on how to travel to each destination. Frankly, this is an invaluable little book that I wear out each time I go there. Mobile Pass – Now, you can carry your London Pass on your smartphone. Simply have the pass sent to your mobile device and use it to gain entry to each attraction! Let’s talk a little bit about transportation. In our Paris Pass review, we mentioned that the Paris Pass includes a travelcard. While travel is not automatically built into the cost of the London Pass, you can add it on…which I think is an even better option! London has one of the best – if not the best – public transportation systems in the world. It’s my preferred method of getting around the city, and you should use it while you’re there too. Not only is it über convenient, it’s extremely easy to use. 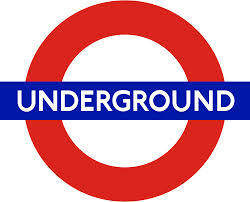 You’ll find tube stations located throughout the city. The easily recognizable signs, featuring a red circle with a white center and a blue horizontal stripe running through the middle, will let you know when a tube station is near. The other train system you need to know is the National Rail system. You’ll use these trains to travel to attractions outside of London proper, like Windsor Castle and Hampton Court Palace. Unlike the Tube, where trains come and go every few minutes, trains on the National Rail system leave at predetermined times. Check what time your train leaves before you make sightseeing plans for the day. In order to board the trains, you’ll first need a train pass. With the Oyster Card, you can board either the Tube or the National Rail, making it the perfect travel card for sightseeing in London. Better yet, you can add it to the cost of your London pass for just a few dollars more. I highly recommend you do this! It is by far, the easiest, fastest, and best way to get to all the places you want to see quickly! 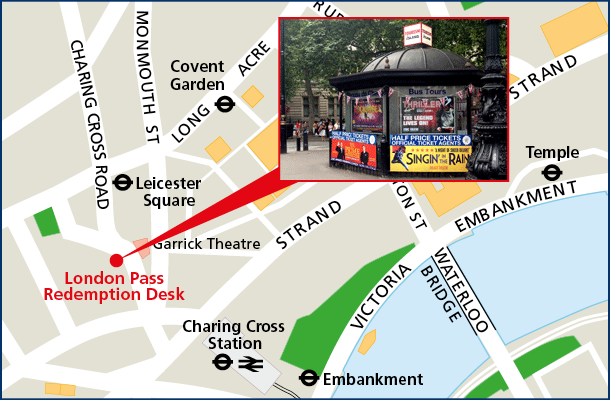 Get your London Pass with travel card here. As you can tell, I absolutely love the London Pass. In fact, I actually struggle to find a many negative things to say about it. With that said, in recent years, the London Pass has added a per day credit cap. This effectively caps the total amount of savings you can get from the card, and credit limits are based on the length of the pass. While I’m never a big fan of capping an all-inclusive pass, the credit limits on the London Pass are pretty generous. In fact, even the hardest charging sightseer would be hard pressed to hit them. For example, the credit limit on the 3-day pass is £370. That means you’d need to visit 5 attractions a day valued at about £25 each. Honestly, that probably ain’t gonna happen. (I’m not sure how anybody could move that fast!) Even if it does, you’re still saving £245 per adult. Don’t Forget This! – A trip to London can cost thousands, much of which is non-refundable. When going on a trip this expensive, it’s always a good idea to buy travel insurance. For a fraction of your trip’s total cost, these policies can protect your travel dollars from unexpected trip cancellations, trip delays, medical evacuations, and more. Protect your London fund. Compare travel insurance plans here. First-time visitors – For first-time visitors, the London Pass is a great way to see the major sites and save money doing it. In fact, almost every major site in the city is included on the pass. Why not save money at the places you’re going to visit anyway? Both power and casual sightseers – If you want to see as much as you can in the time you have, the London Pass is for you! The more you use the pass, the more value you’ll get. In fact, you only need to visit 2+ attractions a day to get your money’s worth. That’s a pretty great value and easy to do! Families and small groups – Tourists who are traveling with their family or in a small group get even more value from the London Pass. Use the card with the whole group, and your savings will multiply quickly! Those not interested in sightseeing – Let’s face it, London is a pretty exciting city all on it’s own. If you have no interest in visiting the major tourist attractions, you obviously won’t benefit from this pass. People only interested in free activities – Likewise, there are plenty of free things to do in London – like visiting the various parks, hitting the British Museum (free but donations are requested), and just soaking up the atmosphere. Of course, you can always spend a few days doing the free stuff and use the pass during the rest of your time in London. Want to get the most value out of your London Pass? Here are a few tips to help make that happen! Visit 2-3 attractions per day. – As we’ve mentioned, to make the London Pass worth it, be sure to visit 2 or 3 attractions each day. Do this and you’re bound to come out ahead. Visit the most expensive attractions. – Obviously, the more expensive attractions provide the most value. If you’re planning to visit some of the attractions after your pass expires, visit the most expensive attractions while your pass is still active. Then, pay for the cheaper attractions later. Start early in the day. – The earlier you get going the more sites you’ll be able to see. Start your days early and you’ll get more value from the card. Don’t activate your card in the afternoon. – Likewise, don’t activate your first day in the afternoon. You’ll essentially lose an entire day’s worth of value in the pass. Plan your sightseeing accordingly. – If possible, group your sightseeing by sites that are close to each other. That way, you’ll waste less time in transit between each attraction. Skip the 1-Day Pass. – Although the 1-Day pass may be worth it, it’s a lot easier to come out ahead with the multi-day passes. I’d recommend getting a pass that lasts at least three days. Ordering your London Pass is a piece of cake. Get your London Pass here. Personally, I like to order mine before I depart from home. That way, I know I have it, and it is already there waiting for me. It also allows me to take advantage of any sales or discounts being offered prior to traveling. While you can buy one if you’re already in the city, you’ll miss out on the online discounts. If you order your pass online, you can have it shipped directly to your door for a small fee of 3-7£. Personally, I’d rather save the money and pick it up myself. Seriously, it’s easy peasy to find this place. The kiosk is literally about a 90 second walk from the Tube station. Here is a map and a photo of the booth to help you out. So, is The London Pass worth it? I think I can answer that with a giant ABSOLUTELY YES!!! Don’t forget that you can order your London Pass using the link in the box below. I bid you safe travels and enjoy London! PreviousGo Oahu Card Review 2019: Should You Get It? NextShould I Invest in a Traditional IRA or a Roth IRA? I love me some London, too. I’m hoping for a longer visit the next time I’m there so I can get some serious sightseeing in. There’s so much detail here I’m bookmarking it for future reference! BTW – I can definitely recommend jumping on an intercity train and heading out to Winchester. The cathedral there is awesome. Along with the scones and clotted cream! I can’t wait to get back to London! I’d love to head out to Winchester next time we are there. We didn’t fit it in on our last trip, but I’d love to see the cathedral! I’ve never heard of the London Pass. But I have been to London and a few other places around the UK, and I know how expensive it can get.. quickly! Any discounts you can get are worth looking into. It is a great tool to see some of the most important and popular sites at a discount. Combine that with the fact that you get quick entry to many of these locations, and it really is worth every cent! We already bought one for our trip. Once you add up the things you want to see, it made sense to get the pass. I was also excited about not standing in line since we’ll be there during prime tourist season. Thanks for the review. Well done Kim! You’ll be very glad that you bought the pass. Have fun! London is fantastic. I absolutely agree with you. You can find some great local places. The prices are cheaper and the atmosphere is often a even more fun! Been to London a few times but never purchased London Pass. Looks like it’s a very worthwhile pass if you plan to hit some of these attractions. If you plan to see more than a couple of the major attractions, the pass is totally worth it. Next time you go, I highly recommend at least a 2-day pass. Aaaaahhh! London, my most favorite city in the whole wide world :-). We will be there again in November, and Federico is already excited..lol! We were supposed to visit last month as my niece had a baby, but we ended up having guests here at the same time. I never get tired of visiting…the pass is definitely worth it. I usually get passes in big cities for museum entries especially, and l always keep our Oyster cards for top ups. Isn’t London the greatest! I love that place. I didn’t mention this in the piece, but the tourist areas are especially clean and the city is so easy to navigate. I’m totally jelly that you are headed back. I can’t wait to get back there myself! I visit London often because my best friend is English and lives in London. I haven’t purchased the pass yet, but I think that that’s a plan for next time. If you’re planning to do some sightseeing, I definitely recommend at least a 2-day pass with the Oyster Card. You’ll save money and see a lot of cool stuff. Plus, you don’t have to wait in long lines, so that is always a bonus. Beautiful pic of Windsor Castle! London is a great city. My wife\’s family is from England (one side anyway) so it would be fun to visit. Maybe when my daughter is a little older. Not sure if a 7 hr flight is smart with a 1yo. Yeah, we are waiting to bring out children there for a few more years as well. I’m not sure that they would appreciate it at this age. However, we don’t have family there, so we’re in a bit of a different boat. Victoria and I would like to go to Europe in 2016 if our travel hacking all works out. London is one place we are considering. All I can say is “holy crap there is a lot to see.” I have never heard of the London Pass but I might have to consider getting it if we go. Victoria and I like to spend a lot of time at each attraction, so it may not be right for us the first time we go. I’ll look into it, though, and thanks for the info! London is awesome! If it is your first time to Europe, I would definitely recommend London. You speak the language. It is easy to get around. And we share a common history, so it is easy to relate. You definitely don’t want to short yourself on time at each attraction. However, the pass is multi-day pass is totally worth it if you go want to see more than one place a day. I’m a big fan, obvi. Love the pics – makes me want to head over to LAX and take the next flight to London. 🙂 It’s been many years since I’ve visited, but hopefully I’ll be able to take the girls there in the near future. They would really enjoy it. Great article! If I ever get the pleasure of visiting London I’ll definitely get the pass. Thanks Alison! I hope you get there someday. It is a wonderful city! I want to go to London SO bad! Mostly, it’s because I’m obsessed with Kate Middleton though 😉 As soon as my student loans are repaid, it’s the first place on my list – I can’t hardly wait! London is fantastic! You’ll love it. It is easy to get around and there is no language barrier, obviously. The castles, the history, the pageantry…I just love that place! Cool beans! I hope you are able to make it 🙂 It is a lovely city! Totally agree with you on the pass being worth it! I’ve actually just wrote another piece on london. The next time you’re there check out they’re one of my favorite things to do! Fun for the whole family! I’ll check it out Stephen. That is the awesome thing about getting out of debt: once you don’t have to give somebody else all your money, you can spend it on thing that you really want to do. For us, that is obviously travel. So, keep at it, and I’m sure you’ll get there someday Lisa! It’s a work in progress for sure! For now, just finding a couple ways to make extra money. So far it looks like it is heading in the right direction. I was surprised to see just how many attractions are included on the pass! That is incredible. With that many, any other business would be crazy not to join in as well because of how easy it would be (and cheaper) to visit a competitor. Right? You would think that every attraction in town would want to get on that pass! London is one of the places I want to visit. I think everything I want to see and experience is right there! I look forward to the day when I visit London. Now, it feels like I wanna live there! I could totally live in London! It is a magnificent town. The only thing I would have a problem with is the expense…so, maybe I’m too cheap to live there, but I love to visit! We have found it best to purchase 2 each 7 day zone 1-2 travel cards from a train station for 31 pounds each, then using printouts from http://www.daysoutguide.co.uk/2for1-london you can get 2 for one admission to all kinds of places and decent discounts on some pretty good restaurants. for us it works out way cheaper than the London pass and allows us to slow down and enjoy the trip with our 7 year old. We also love to hang out at the Princess Diana Memorial Playground. One of the best free things to do with kids in London. I checked that out as well. Looks like another good option. There are certainly a few more hoops to jump through and you are limited to Zones 1-2 for travel, which means you’ll miss a few of my favorite places (like Windsor and Hampton Court). It appears that you need to use the National Rail system as well. That being said, it would certainly be something to consider – especially if you want to stay in Central London only. Thanks for adding to the conversation! Awesome! Glad it was helpful 🙂 I’ll be updating this post regularly, so the info will constantly be fresh! I’ve never been and although it’s not at the top of my travel list, I’d love to go at some point! great review! We just bought 10 day London Passes with Osyter cards for our trip this September. I had them shipped to us and the book and the app is very informative! We can’t wait to go! Question we don’t need to pre book anything in advance with these do we? Thanks. Thanks Mandie! Glad you stopped by and found it. Have a wonderful time, and please share your experience with us when you get back!!! the London pass is an absolute must have ,we saved so much money,most attractions were £20/£25 to get into and then with the added bonus of a fast pass on some attractions that was brill,it was our first ever trip to London too,when we needed a sit down we jumped on the river cruise and took photos on that,just plan your sites before you go into groups and then you can just walk from one to the other easily . Totally agree! Love the London Pass. Frankly, I’d pay for the city pass almost anywhere because they usually allow you to skip the lines. That alone makes them worth it. The last thing I want to do is waste 2 hours for every site I visit. That being said, the London Pass gives even more value. It is one of the best passes around. My husband and I are planning two week trip for July 2016 with our daughters, 9 and 12. We have researched costs and itineraries and found the 10 day pass with travel card will be a huge savings and convenience. We will also be taking a few day trips, one to a beach another to Stonehenge and Bath. Do you have any recommendations for these or any other excursions? Loved your post it sealed the deal, so to speak on the London Pass. Also, if you sign up on the site discounts on purchase price up to 20 percent are offered. The London Pass is constantly offering discounts, typically of up to 20%. You should be able to click through any of the links provided in the piece and be able to get those discounts (plus we get a small commission if you do!). If not, here’s a link that will get you up to 20% off (Up to 20% Off at London Pass). As far as Stonehenge and Bath goes, we took a tour there with Premium Tours. They were excellent, and it was one of the best days of our trip. It was not a completely guided tour, as we had plenty of time to explore ourselves. We loved that, and would definitely recommend their services. I love London! I’m originally from Belgium and used to go there quite often. I’m actually thinking of going back there at the end of this your while visiting family. I never really did the touristy stuff, but this reminded me there’s so much out there I just haven’t seen yet. Never heard about the London pass either, but it looks pretty worth it. Will definitely have to look into it. Isn’t London great?!? There is a lot to see, and the pass is totally worth it. It’s the best city pass we’ve ever used, and we almost always get one whenever we travel and are going to do sightseeing. Skipping the lines alone is worth it, but the London Pass also gives a great discount for tix. You really can’t beat it. Amazng place to travel. I wish to be there with my family and explore LONDON. Me and four good friends bought the 6 day pass w/ travel last year for a week in April and other than St. Paul’s getting nixed a few weeks before the trip, which was only a minor inconvenience, it was so easy to get around. One of my friends is going to get the 2-4-1 instead, which I think will work out well for her since she’s bringing one of her parents. I think something like that is good for people who don’t mind buddying up with someone they trust and splitting the cost of each attraction. 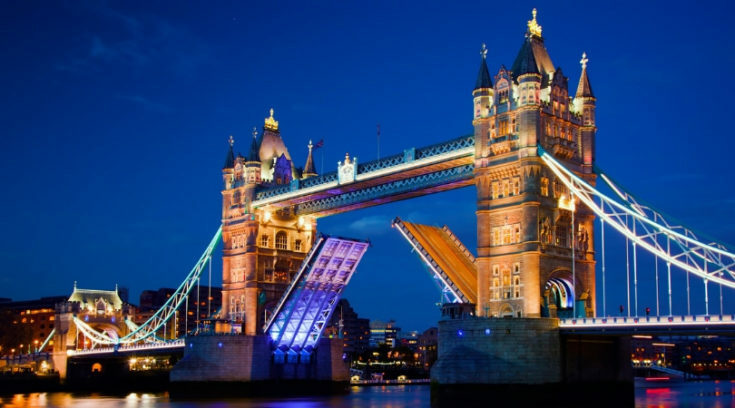 The London Pass makes it a lot easier to budget for a vacation when you know what you want to do is covered, and the 48 hour flash sales on the site are common enough that the prices for the 6 and 10 Day are more approachable. Another deal to look at is the 2 for 1 offers special by buying National Rail pass. Two of us are going for the first time in May and I’ve done some calculations and it seems that the 2-4-1 is a better deal than the London Pass. For example, let’s say in 1 day we want to visit Hampton Court Palace and Westminster Abbey. Buy an all-day Zone 1-6 National Rail pass at £12.10 each so that’s £24.20 / day transport for 2 ppl. Then add gate price for only 1 person (because the 2nd one will be free) Hampton Court (£19) plus Westminster Abbey (£20) = £39. Then add the £24.20 train passes. Total = £63 for the day for 2 people. A 3-day London Pass with travel option averages to £41 per person per day. So Total for same day = £82 for 2 people. That London Pass is going to cost 2 folks £19 more just for that one day of sightseeing. Do the math folks and see if you will really come out ahead with these discounts. The 2 for 1 is also a great discount, and there is no question that you’ll save a little bit of money. However, you don’t get skip the line access, which can be far more important than saving a few bucks. If you’ve never seen the lines, they can actually be a few hours long at peak times. We went to London in April 2015 and had the 6 day London Pass. I definitely recommend it, if only for the benefit of skipping lines! We didn’t realize that was an option at Windsor Castle until we asked! That probably saved us 1+ hour in line at that one attraction (not to mention the lines at Westminster and the Tower). We’re going back in May and I already have another set of 6 day passes (plus travel cards) in hand! Great article and tips! Love London. My friend and I went in October, 10 years after we went on a 5 day high school trip. We went for 10 days, with 2 spent in Paris, and did 6 day passes. They just made everything so easy! I’m torn between wanting to go back a bunch of times and traveling other places! I am traveling with my son to London and Paris in March. What will the queue lines be like at that time of the year? I’m trying to decide if the Pass will be advantageous. This is great information, thank you. We are taking our 11 and 13yo to London for the first time in October. We will be there 10 days and plan on spending a day in Paris, as well. Is a 1-day Paris Pass worth it? Also, we will spend time out of London proper (Bath, Stonehenge, Stratford) will the travel card with the pass allow us to ride the train to these locations?? I’m not sure if a 3 day or 6 day pass makes the most sense for us. Thoughts? Thanks so much! Nicole, I believe the travel card that comes with the pass (Oyster Card) will not get you to Bath, Stonehenge, etc. You can use the Oyster Card to get to Paddington Station, but will have to purchase a ticket onward for the “overland” train to get to those destinations. London Pass was a terrible ripoff . I do not recommend it. Not worth the price and gave incorrect info leading to our missing the main attraction we wanted to see. Really? I’m sorry to hear that. I loved it and it saved us a ton of money and time while we were there. Agree 100% that the London Pass is worth it. We stumbled onto it while we were waiting on line at one of the attractions, and they were selling the Pass for the fast entry benefit. We ended up checking out maybe just 2 more attractions on the Pass, and we still saved money. We last used the Pass for our 2011 or 2012 trip, so I had forgotten about it till your post. Great reminder to look at these money saving travel options before you leave for your trip. Oh heck yeah! I love the London Pass. As far as sightseeing passes go, it is definitely one of the best you’ll find anywhere in the world.